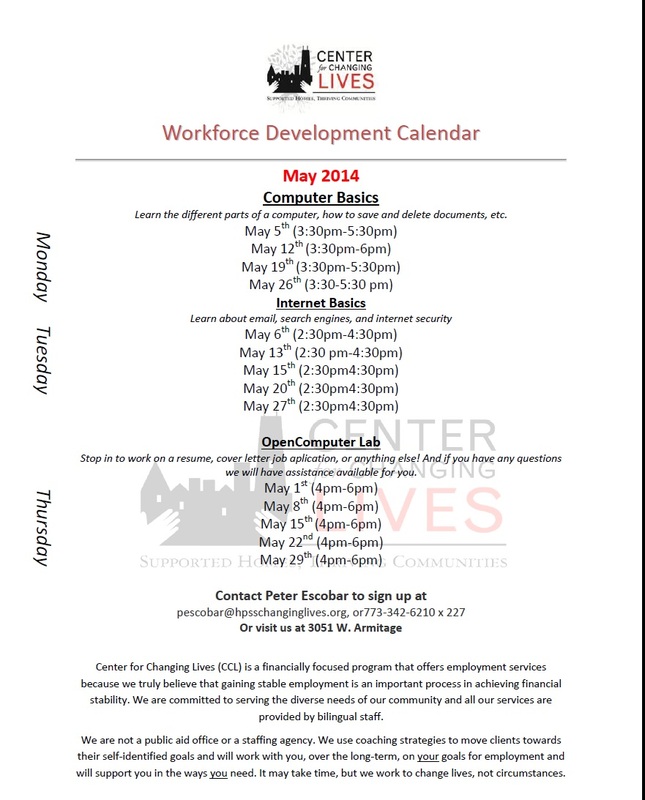 Financial, employment, and resource development coaching for sustained neighbors. All computer classes are open to the public; call to schedule or drop in! Image | This entry was posted in Classes At CCL, Uncategorized and tagged Center for Changing Lives, Classes, Computer Classes, Computer Literacy, Digital Literacy, Logan Square. Bookmark the permalink. CCL partners with those held back by lack of resource and economic opportunity in order to uncover possibilities, overcome barriers, and realize their potential.